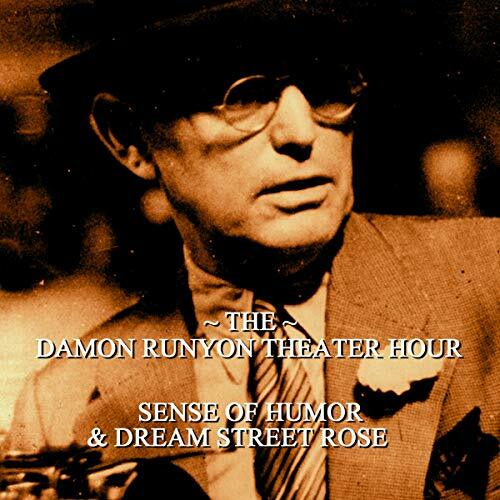 'Sense of Humor' and 'Dream Street Rose' from The Damon Runyon Theatre Hour. Of course, the cliché about newspapermen and writers is that they are heavy drinkers, chain-smokers and gamblers and obsessively chase women, with a sideline in the gathering of stories and facts and actually getting something written just before the deadline hits. That seems like Damon Runyon and his life summed up in one sentence. His stories became legendary ways of looking that bit differently at America, of soaking up the atmosphere of a glamorous and rip-roaring age and distilling it into black and white type or, in our case, The Damon Runyon Theatre Hour.